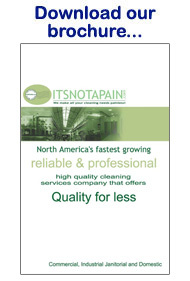 ITSNOTAPAIN.com is undoubtedly the fastest growing commercial, industrial and residential cleaning company anywhere in the continental U.S.
Our professional services are available to our clients nationwide. Our client portfolio includes stores, malls, restaurants, schools, offices, hotels, hospitals and industrial complexes, as well as private residences. 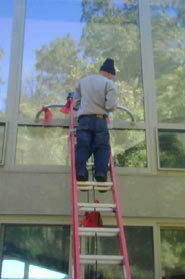 Our services are provided by professionals and are guaranteed to give our clients the reassurance that their project is being handled by qualified and personally selected employees.